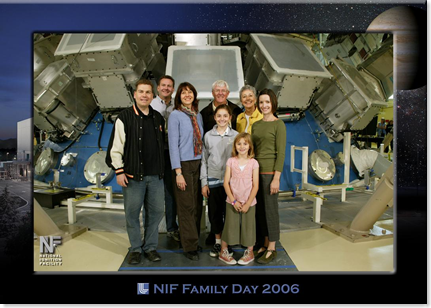 This weekend it was "Family Day" at the National Ignition Facility ("NIF") the amazing place where Janelle has been working for the last three years. 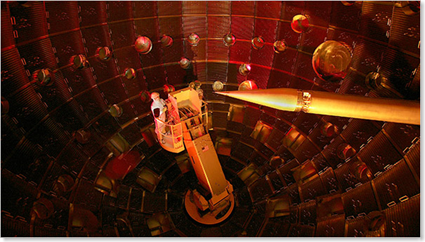 The NIF is part of the Lawrence Livermore National Laboratory ("LLNL") a scientific research laboratory founded by the University of California in 1952 and today funded by the United States Department of Energy (for more information, click here). Located right here in the San Francisco Bay Area and where over 10,000 people work (including Janelle! ), the NIF funds many projects that will blow your mind. Yesterday we were lucky enough to visit the building that hosts one of the fastest computers on earth and the NIF itself. NIF's basic layout. 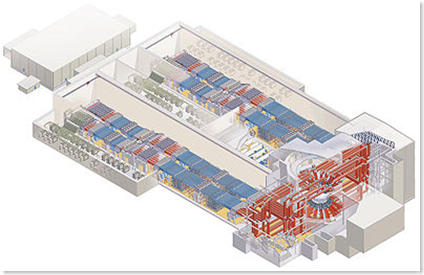 The laser pulse is generated in the room just right of center, and is sent into the beamlines (blue) on either side. After several passes through the beamlines the light is sent into the "switchyard" (red) where it is aimed into the target chamber (silver). Three football fields could fit inside NIF. In theory, the facility’s 192 lasers — made of nearly 60 miles of mirrors and fiber optics, crystals and light amplifiers — will fire as one to pulverize a fleck of hydrogen fuel smaller than a match head. 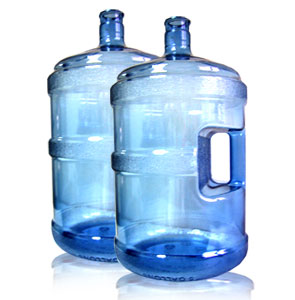 Compressed and heated to temperatures hotter than those of the core of a star, the hydrogen atoms will fuse into helium, releasing bursts of thermonuclear energy. This process if called "Fusion" - and when it happens we will for example be able to transform water into electricity. This research has the potential to basically give us an unlimited supply of clean, carbon-free, energy. Amazing stuff. 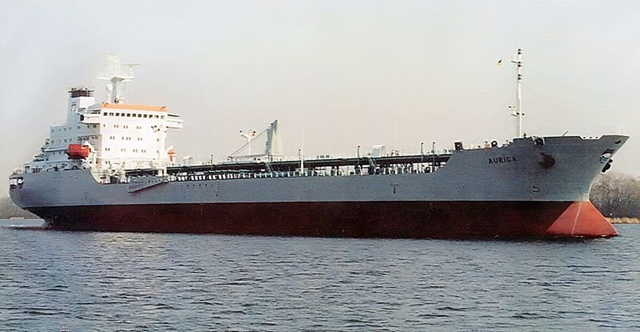 Commercial applications of Fusion: 35 liters (roughly 8 gallons) of heavy water will contain as much energy as an oil cargo ship. This was another amazing weekend at the NIF - and we are all proud of Janelle for doing such a great job there. 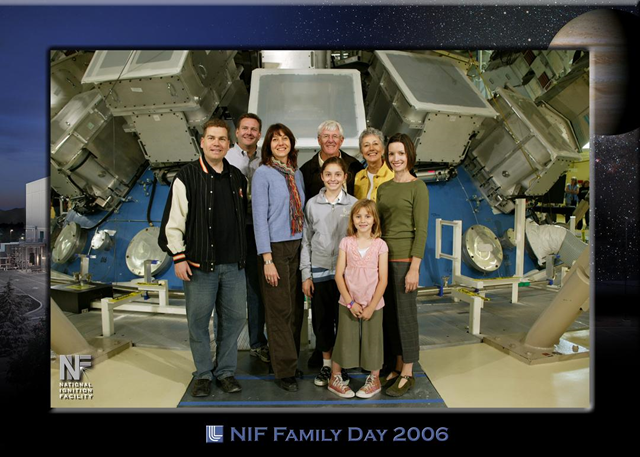 Below I have additional links, videos, and articles with more information on the NIF. http://tinyurl.com/cumsrd A 10 min video from National Public Radio (local station KQED) describing Fusion and the National Ignition Facility. You can also watch it below. Twitter gets a bad beat from idiotic super stars and folks who tweet about what they're having for breakfast. But it's also a live feed of very useful information - the link above is a search for anyone linking or talking about the NIF. Many of the links above were found using this Twitter search. 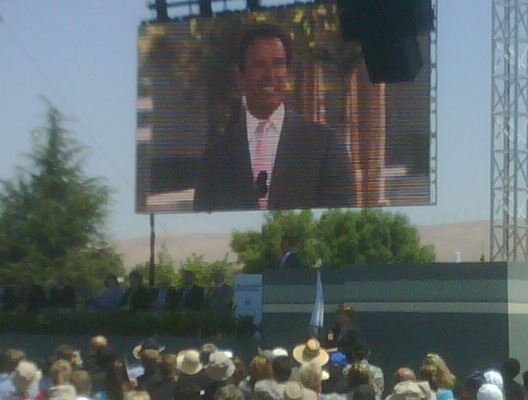 Arnold Schwarzenegger, the "Terminator" and also the current Governor of California was at the NIF dedication ceremony last Friday (5/29/2009). 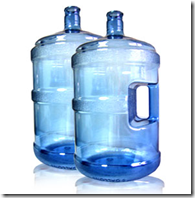 This page contains a single entry from the blog posted on May 31, 2009 11:05 PM. The previous post in this blog was Read your favorite RSS feeds on your Kindle - installing and running "Kindle Feeds" on Windows. The next post in this blog is Call me an ‘iPhone fan boy’.